Sergei is a warm up sketch that took on a life of his own. The art is 7 x 9 inches, done in several weights of pencil. Sergei is a Conan type barbarian wearing a wolf skin cloak with wolf motifs on his leather musculata. 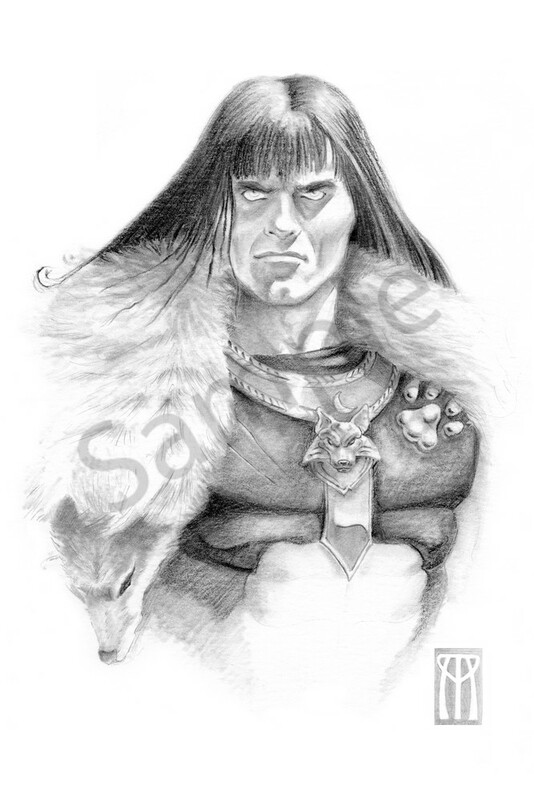 Portrait of Sergi Wolfbane, a warrior with a wolf skin draped over leather armor. This started as a warm-up sketch, but it just kept going.